Last weekend my sister-in-law Rose texted me to let me know that our niece had found a puppy on the side of the road. They’d spent the better part of the week trying to find an owner, but nobody claimed her. And Rose was also kind enough to attach a couple of pictures with significant “awwwww” factor. I had just started to reply to Rose’s text when she called me. She went on to explain that they felt like they couldn’t keep the puppy because they have two dogs already, and one of those dogs was none too excited about having to share his space with another animal. SO, Rose said. She sure would be a great dog for Alex. Plus, we’ll still get to see her if y’all keep her. I tried my best to IGNORE, IGNORE because I have told myself (and my people) over and over again that this summer would be a much better time to get a new dog. But there was something about that puppy in Rose’s pictures that just grabbed my heart. D was immediately on board because, well, DOG LOVER, so we decided that he should probably sleep on the idea and then, if he still felt like it was a real possibility, sit down the next day and have a serious talk with Alex about the fact that Dogs Require Responsibility. So he did and they did, and by Thursday of last week we were all on board. And Saturday morning, the fellas drove to Mississippi to pick up the newest member of our little family. Y’all, she is the sweetest. Rose’s vet said that she is part bulldog and part rat terrier. All we know is that she is about thirty-seven kinds of cute. I meant to post about this earlier this afternoon, but then I got very busy making a big pot of black beans and folding clothes while I watched The Amazing Spider Man. That last thing? I know. It’s like I don’t even recognize myself anymore. On top of that, I didn’t realize that there is a giant lizard in this particular Spider Man installment, so as a person who has a borderline phobia where scaly textures are concerned, I have been challenged to the very core of my being. I may require therapy. But that’s not what I wanted to tell you. Because I have news that is much better than anything I could ever share with you you about giant lizards. 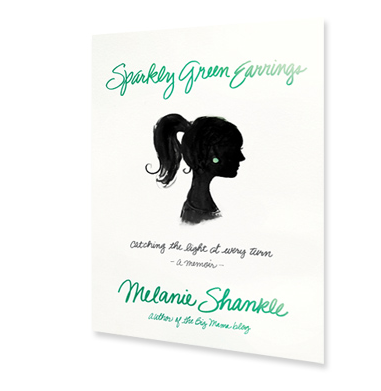 The Kindle edition of Melanie’s book is ZERO DOLLARS today on Amazon. FREE AMERICAN DOLLARS, my friends. I don’t have any idea how long it will be free, so if I were you I’d GIDDY UP and download a copy. And if you’re thinking, “Oh, I won’t be able to download it – I don’t have one of those fancy Kindle thingies,” don’t forget that Amazon has free Kindle apps that you can install on just about any device: iPhone, iPad, Macbook, PC, Android, a box of KFC – the possibilities are endless. I Like Cheese. And Also Crackers. But about a year ago, I went to Chicken Salad Heaven (alas, that is not the restaurant’s real name, but it would be an appropriate name nonetheless) with my friend Leigh, and I realized that I wasn’t in the mood for chicken salad. Not being in the mood for chicken salad has only happened to me maybe three other times in my life, so it took me a moment to process this strange and confusing development. However, after I looked at the menu for about 30 seconds, I knew exactly what I wanted to order instead of my regular chicken salad plate: The Cheese Plate. Well, it may have changed my life. When the cheese plate (or, I should say, The Cheese Plate) arrived at our table, the first thing I noticed that it was gorgeous. 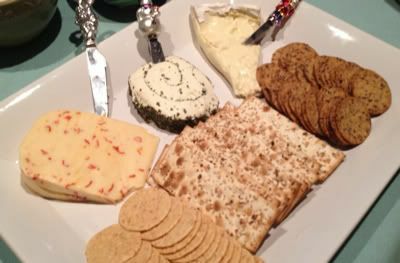 There were four or five varieties of cheeses – some sharp, some mild, some soft, some creamy – along with a beautifully arranged assortment of crackers. I had so much fun trying this cheese with that cracker, figuring out what combinations worked best – it was like the happiest little food experiment ever. And yep, I really did write that last paragraph. And you know what else? I MEANT IT. SO, ever since that fateful day at Chicken Salad Heaven, I’ve had a renewed appreciation for cheese and crackers. I’ve been a little cuckoo for cheese and crackers, to be perfectly honest. The only problem is that my husband and my child do not share my affinity for the cheese and crackers combo, and unfortunately they do not consider cheese and crackers to be the most delicious supper in the history of all suppers. It would make meal planning so much easier if they did. As you might imagine, I am praying that we will be able to work through our cheese and crackers differences and trusting the Lord to fill our gaps. Even still, there have been a few times recently when my cheese and crackers cup has overflowed, so to speak. Weekend before last some friends and I had a little girls’ night in, and would you look – JUST LOOK – at the bounty we enjoyed? Y’all. It was all so delicious. 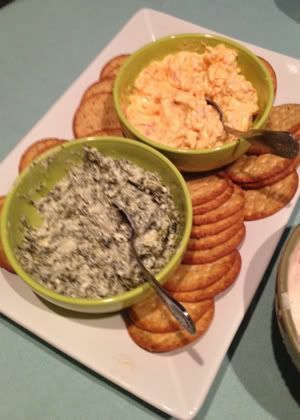 There were about four crackers and six little bites of cheese left at the end of the night, but other than that, we SHUT ‘ER DOWN. I could clap my hands just thinking about it. And because I am a total nerd when it comes to crackers, I took a picture of some of my favorites. I keep these on hand pretty much all the time. I would hate to be unprepared in the event of a crackers emergency. 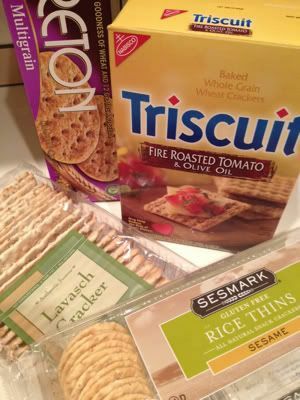 My favorite variety of the Lavasch crackers is Everything – oh my goodness they are a treat. I accidentally picked up sesame the last time I bought them, and the sesame will do in a pinch. But the Everything – well, as Rachel Zoe might say, it is everything. I also love the herb Mary’s Gone Crackers (they might be my all-time favorite), but they’re not in the picture because, well, I finished the box that we had and now I need to buy some more. As far as cheese goes, here’s what I like: all of it. What about y’all? Are any of you fans of cheese and crackers? And even better: do you have any cheese and/or crackers suggestions? I’m gonna have a lot of words on Monday. A LOT of words. Words about some STUFF and some THINGS, mind you. Just you wait. But in the meantime: pictures. Or pintures. Or pinterestures. 1) These return address stamps are fab. 2) I’m obsessed with this skirt. I can’t explain why. All I know is that I went in Anthropologie a couple of days ago to buy a candle, and when I saw this skirt hanging in the window, I ran over to it and gazed at it longingly. They had a navy and white striped shirt with it in the store – which was an interesting choice (that’s my code for I DO NOT UNDERSTAND THE ANTHRO MATCHING TECHNIQUES) – but on the website it’s paired with a denim shirt. And it looks super cute. 3) All my favorite foods. All in one place. 5) Comeback Sauce is a staple in the South. Or at least it’s a staple in Mississippi. I don’t hear people mention it as much in Alabama, but maybe that’s because people can’t stop saying “ROLL TIDE” or “WAR EAGLE” long enough to talk about deeply meaningful things like Comeback Sauce. Comeback Sauce is great on chicken (prepared any which way), hamburgers, and I’m sort of partial to using as a dip. The only trick is that if you use it as a dip, the dipping agent needs to be saltine crackers. Not chips. Not Triscuits or Wheat Thins. Saltine crackers. Just trust me on this one. 6) I think about this purse more than I feel it is normal to think about, well, a purse. 7) This pillow makes my heart go pitter-patter. This pillow is also beyond my budget, so unfortunately it will not be making my heart go pitter-patter in the comfort of my own home. But still. Love it.